Pay special attention to the yellow highlighted regions. 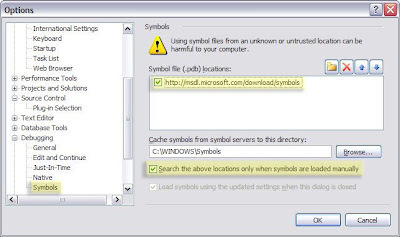 The option "Search the above location only when symbols are loaded manually" increases applicaition load performance. You will need to manually Load Symbols from the module window. Thanks to Naveed for these instructions (and the spiffy highlighted screenshot).